Superman #63 (DC, 1950) CGC VF/NM 9.0 Off-white pages. Only a sole 9.4 example keeps this beauty from claiming highest-grade honors from CGC! 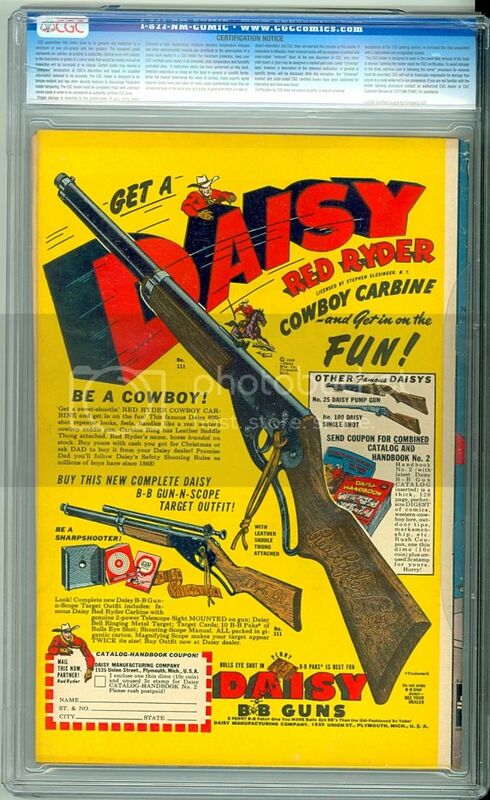 Golden-age comics are becoming scarcer in this grade, and this example has the combination of superb condition and outstanding subject matter. 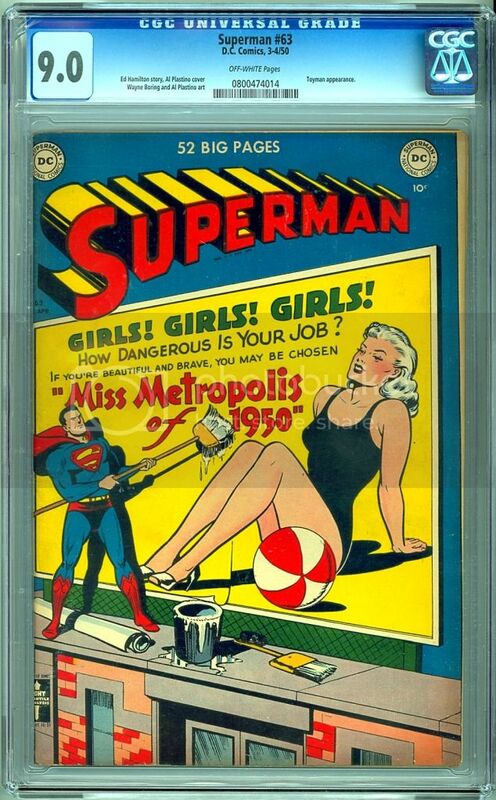 Both Superman and "Miss Metropolis" of 1950 adorn the cover.